You'll have to do a little more than sticking a 'for sale' sign on the window. The last step of the car shopping process typically involves selling or trading in your old vehicle. The convenience of trading the vehicle in at the same dealership where you’re buying a new one makes many car shoppers take this route. Unfortunately, the easiest method won’t necessarily yield your highest profit. If you’re just starting the process of selling your vehicle, a little preparation will go a long way to scoring you a better return on the sale. Need some motivation? A few hundred dollars more can mean a larger down payment on the new car you really want. Check used car shopping sites to find your vehicle's value (just make sure you're in park first). Learn your vehicle's value: Your car may be worth more than you think. Check out websites like Kelley Blue Book for a vehicle valuation tool. You'll be able to enter your make and model, year, condition and mileage to get an estimated value. Compare various used car sites to see what similar vehicles are going for. Set your asking price higher: Always allow wiggle room for negotiation when setting the initial asking price. Start at 5-10% over the amount you're willing to take for your vehicle and then you can slowly lower the price when a buyer is interested. Need to sell quickly? List the vehicle at $4,900 when the competition is selling at $5,000. The psychology behind the $100 off will get your car off your hands sooner. Clean and fix it up: Wash your car inside and out or get it professionally cleaned. You'll also want to fix obvious issues that will detract potential buyers. As your mother told you, "first impressions matter". Facebook Marketplace: All you need to list your vehicle on here is a Facebook account. Selling a vehicle through Facebook is as simple as including details like the year, make, model, mileage, and condition. Once your vehicle is listed on Marketplace, potential buyers can message you to learn more about it. The benefit of Facebook it that it lets you screen the interested party because they can not remain anonymous. CarGurus: Listing your car on CarGurus is free but it does come with a drawback. When the vehicle sells, you'll be charged a $99 fee. If your car is only worth a few hundred dollars, it may not be worth the fee. If you decide the $99 fee isn't a deal breaker and decide to list here, you ensure that you will get many eyeballs on the listing since CarGurus is the largest car shopping site. Another perk is that they will also you with all the paperwork involved. Craigslist: Craigslist carries more risk than the other sites on this list because it is not as transparent or secure. You can't vet the seller as easily as you can through Facebook Marketplace and there are plenty of scammers that like to lurk around Craigslist looking for prey. The upside is that you can list your vehicle for free and include an unlimited number of photos which would cost you if you list on other sites. Autotrader: The perks of listing your car on Autotrader include the user-friendly experience, large potential buyer audience, and a free 30-day listing. However, if your car doesn't sell in 30 days, you'll need to pay $19.99 for 45 days or $29.99 for an additional 60 days. If you want to avoid the hassle of listing your car online or having potential buyers knocking on your door, you can visit a CarMax store instead. Many car sellers report getting a higher offer from their local CarMax store than from the dealership. Their staff will provide an appraisal in about 30 minutes and then you'll have a week to decide if you want to move forward with the sale. If you find a car you want to buy while you're waiting for the appraisal, you can apply the same value to a trade-in. Your appraisal is based on the vehicle's condition, its features and options, how it does in a test drive and the vehicle history report. CarMax has 209 locations nationwide. Look up your closest one here. 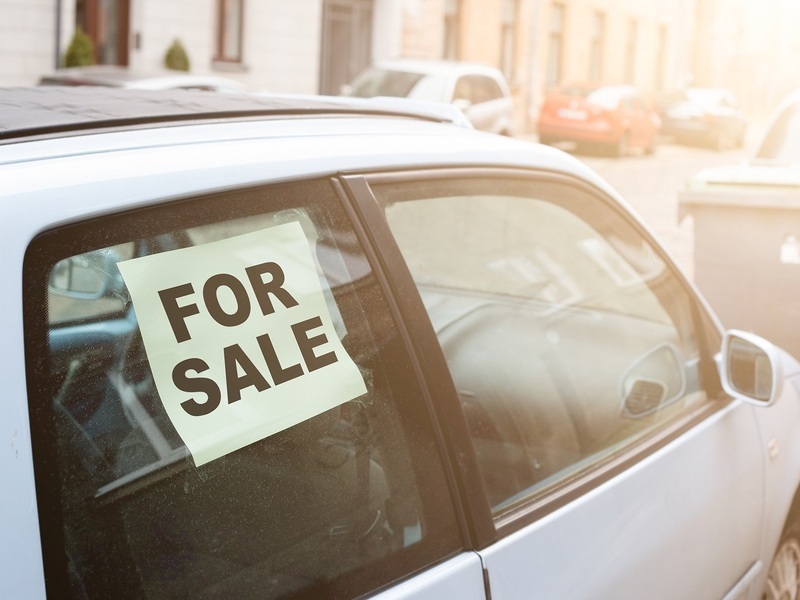 Selling or trading in the car at the dealership is a very popular option thanks to the convenience of one-stop shopping and selling but it usually doesn't pay as well. Knowing some tricks to navigate the process can help you get more for your car. Similarly to the CarMax process, when you tell the salesperson you want to sell or trade-in, they will do an appraisal of the vehicle and you'll have the option to take the offer or leave it. If you're buying a new or used vehicle from the dealership, you should negotiate your trade-in independently from the new car purchase. When the trade-in is muddled with the car purchase, the dealer can short change you with their offer. Use the pricing research you did to determine what is a fair price for the vehicle, and if you're not in a rush to sell, try visiting multiple dealerships to see which one will pay you more.